LinkedIn research finds people who said their company had started a project in the past 12 months that ended up a failure indicated the following as the biggest reasons: change in organization priorities (40%), inaccurate requirements gathering (38%), change in project objectives (35%), opportunities and risks were not identified (30%), inadequate or poor communication (30%) and inadequate vision or goal for the project (30%). This is important to community bankers because projects are happening at nearly every bank nearly every day. Speaking of planning, community bankers these days are really focused on succession planning. This remains a big issue and can be so big, in fact, that in some cases banks have actually agreed to sell themselves primarily because of a lack of leadership for the future. Given the fact that the average executive within the community banking industry is now over 60Ys old, and the average board director is over 70Ys old, the problem is one that needs to be tackled sooner rather than later. Absent the deep pockets of the banking industry's largest players, community bankers should use creativity in the incentives that they offer in order to attract qualified employees. While the importance of monetary compensation can't be overlooked, community banks can make themselves more attractive by demonstrating a willingness to take a more hands on approach to training employees and helping to set them on a path toward leadership roles down the line. From the first meeting with a perspective hire, bankers should be able to demonstrate that they are willing to make a long-term investment in that individual by providing them with senior mentors, formalized training and opportunities to learn about the banking industry and network with professionals outside the bank at industry conferences. While the prospect of long-term career advancement is a good way to recruit junior or mid-level employees, attracting senior leadership remains difficult. When it comes to these efforts, community banks that are not able to pay what larger institutions can, should consider more resourceful types of compensation. These can include such things as equity, stock appreciation rights, work flexibility and a host of other possibilities. 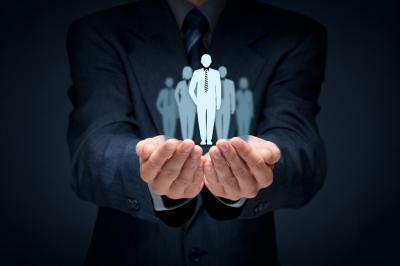 When it comes to succession planning, community banks should think about not only recruiting senior employees, but also actively recruiting on the other end of the spectrum with an eye toward the future. One specific group to target is, of course, millennials. Since millennials represent the largest and most tech-savvy generation, hiring individuals who are part of this generation is one of the best ways to keep up with changes in the industry. Unfortunately, many millennials seem to have the perception that banking is boring. In order to recruit millennials, community bankers will need to convince young candidates that they are open to change and that through their organizations millennials can make an impact on the local community. Another way that has been shown to attract employees from this generation is by providing them with flexible work time, tuition reimbursement, profit sharing plans and even childcare benefits. These benefits have ranked highly for millennial job satisfaction. Having a plan for succession for employees, management and directors will help prepare your bank for the future. While no plan is perfect, working through the process can help ensure your bank is prepared when the time comes. After all, as Ben Franklin once said, "failing to plan is planning to fail." Yields tumbled 7bp as investors reacted negatively to the bombing in Russia along with ongoing concern about the strength of US economic growth. Fiserv research finds the following reasons are the top 5 people cite when selecting a financial institution: physical location, customer service, online banking/bill pay, fees/service charges & the ability to conduct all banking digitally. An RMA survey of community bankers finds the biggest competitors targeting loans from $1mm to $5mm in size are: large banks (51%), money center banks (50%), regional banks (40%), other community banks (19%), credit unions (11%), crowd funding (3%) and fintechs (2%). The retail footprint of brick and mortar retail stores in the US is 48 retail square feet per person vs. 22 in the UK and 13 in Canada. A survey by the Employee Benefit Research Institute finds 60% of workers say they are somewhat or very confident they will have enough to retire comfortably. That is below the 70% level reached in 2007, but above the 52% low of 2012. The math seems a bit funky though, as the EBRI also found that 47% of workers have less than $25,000 in savings and investments (excluding homes) and 24% have less than $1,000 in savings. ABA research finds the bank share of non-Qualified Mortgage (QM) loans declined 36% YOY from 2015 to 2016 (from 14% in 2015 to 9% in 2016). In addition 30% of banks said they will not originate non-QM loans because of intensified regulatory requirements and higher risk. The ICBA reports 54% of banks with assets between $500mm and $1B sell investments vs. 69% of banks with assets >$10B. Experian research finds 73% of consumers had outstanding debt when they died and the average debt balance was $61,554 (including mortgages) and $12,875 (excluding mortgage debt).